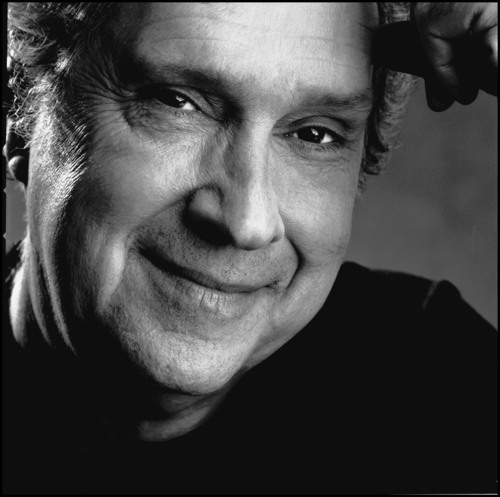 Storytelling fest • After lending his voice for years, Bill Ratner lends his presence. A few years ago, veteran voiceover artist Bill Ratner was in a New York comic-book store asking about memorabilia from the old "G.I. Joe" cartoon series. "This kid who was about my grandson's age [at the counter] looked at me like, 'What is this old man doing in a comic-book store?' " Ratner said. "He was a little dismissive. And I said, 'Yo, Joe. I'm Flint.' "
That would be Chief Warrant Officer Dashiell Faireborn, code-named "Flint," from the mid-1980s "G.I. Joe" animated series. "He kind of went pale," Ratner said. "He walked quickly away and came back about five minutes later and said, 'I just looked you up on imdb.com.' "
The young man asked for an autograph, then gave Ratner a comic book and a lifetime discount at the store. "I realized people have these strong feelings for their animated heroes," Ratner said with a laugh. You probably wouldn't recognize Ratner, but you've almost certainly heard him. He's done voices for everything from "Transformers" to "Family Guy" on TV; from "Grand Theft Auto" to "Mass Effect" in video games; and he's narrated countless TV shows and movie trailers. Oh, and he's the longtime voice of KUTV-Channel 2, which he'll be visiting this week for the first time. "They probably wonder after all these years, 'What does this guy look like?' " Ratner said with a laugh. Ratner is in town for the Timpanogos Storytelling Festival, which continues through Saturday. "I'm a commercial voice for hire," he said. "And the storytelling world is really more about serving a timeless body of work and benefitting from your association with it. Storytellers are telling everything from 'Grimm's Fairy Tales' to personal stories to history to an audience that loves that." Friday, Feb. 10, at 3:30 p.m., he'll present a workshop titled "Voiceovers for Storytellers: Finding Your Best Voice." As part of the session, he'll be teaching the basics, such as how to get into the field, how to put together a voiceover demo and how to sell yourself. "I'm also talking about the voice. How do you do exercises for the voice?" Ratner said. "I liken what voiceover people do to what musicians in 'The Tonight Show' band do. They have turn on a dime and they have to be very, very specific at a moment's notice in interpretation." He'll also be performing at the festival's midwinter finale concert Saturday, Feb. 11, at 7:30 p.m. at Brigham Young University's Conference Center. Saturday afternoon at 1:30 p.m., he'll drop by the Dragon's Keep comic book store in Provo to sign some autographs and chat with fans. And he's not charging either the fans or the store for the appearance. "I just think it will be fun," Ratner said. "You have no idea how popular these characters on these shows can be." The voiceover veteran will appear at several Utah events. Voiceovers for Storytellers: Finding Your Best Voice • Friday, Feb. 10, at 3:30 p.m. at the BYU Conference Center, 770 E. University Parkway, Provo. Tickets range from $30 for a single session at the Timpanogos Storytelling Festival to $150 for the full conference. Go to timpfest.org for more information. Dragon's Keep • On Saturday, Feb. 11, at 1:30 p.m., Ratner will sign autographs and chat with fans at the comic book store, 260 N. University Ave., Provo. Free. Midwinter Finale Concert •Saturday, Feb. 11, at 7:30 p.m. at the BYU Conference Center. Tickets are $5, available at timpfest.org.